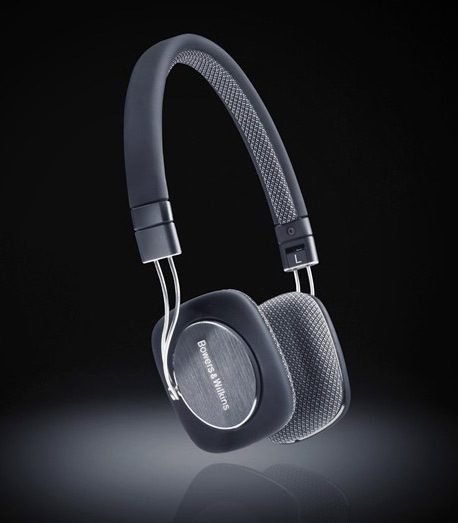 B&W Loudspeakers has announced the release of its new P3 headphones, which are specifically aimed at mobile users. There are heaps of people who’d like better sound than the tinny hash that they get from the ‘phones that are supplied with their mobile devices but don’t really like the feel of the more upmarket in-ear ‘phones, some of which need to be quite far “in-ear”, which is why lightweight, folding over the ear ‘phones such as the P3s are becoming increasingly popular. The P3 features new driver units designed from the ground up, special acoustic fabric earpads that offer acoustic transparency in the centre but a good seal on the edges. Construction is of rubber and brushed aluminum. They have interchangeable cables so that iPhone users can have an inline mic/volume control to drive their device but users of other devices don’t need to deal with a useless accessory. The release date of the P3 in NZ is intended to be somewhere around June or July and the RRP is still TBC. There are a few product videos to be found on the B&W site here.